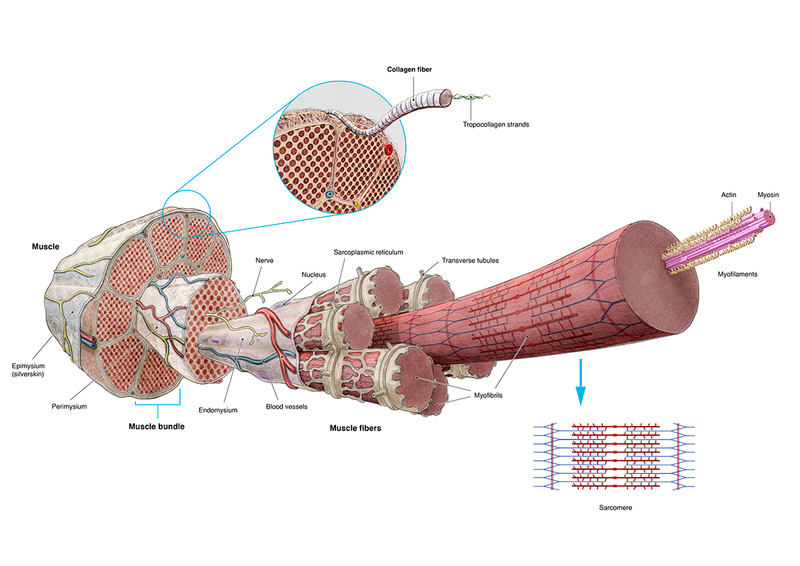 Skeletal muscle is a form of striated muscle tissue which is under the control of the somatic nervous system. It is one of the three major muscle types, the others being cardiac and smooth muscle. 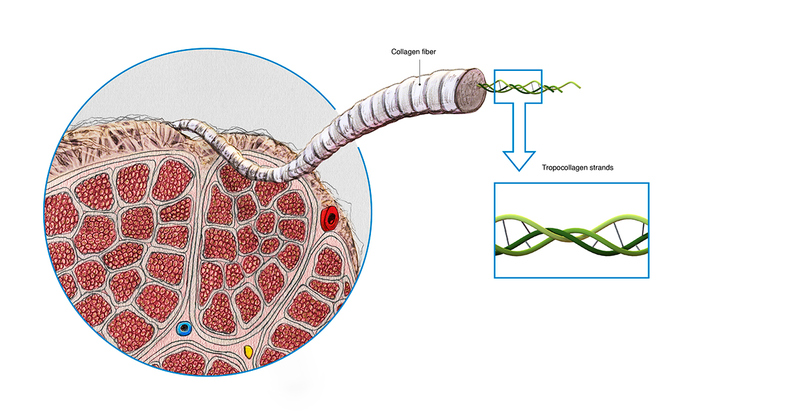 Most skeletal muscles are attached to bones by bundles of collagen fibers known as tendons. 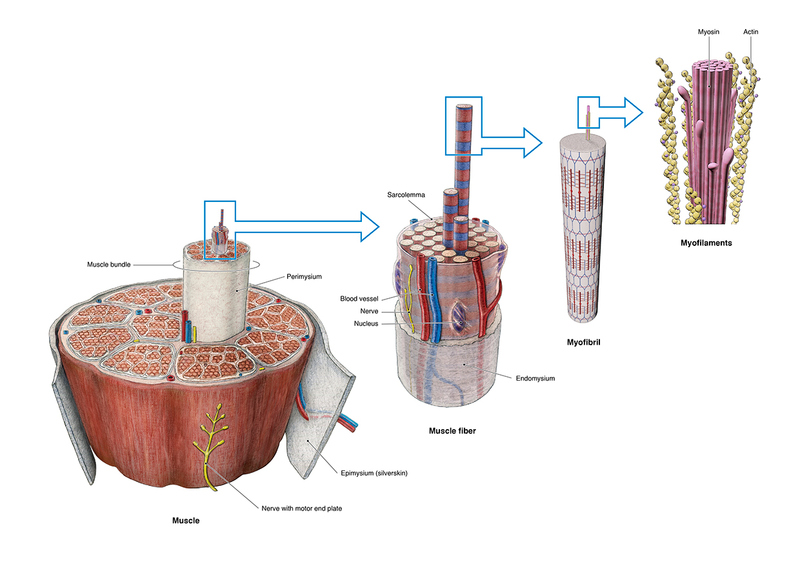 These images by Karin Spijker show the individual components that make up the skeletal muscle. See more work from Karin through her Medical Illustration Sourcebook portfolio and at drawdigit.com.